EPISTOLIO Piping division is able to provide its customers with a complete package of products for the conveyance , control and distribution of fluids and gases in industrial plants. It operates throughout the country, with acustomized logistic service and in compliance with the regulations and safety specifications that make the Piping one of the most complex technical parts to operate within business processes . 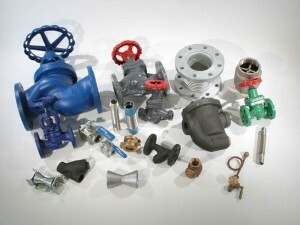 Epistolio is able to provide a wide range of valves, fittings, flanges and pipes for the petrochemical, chemical, food and energy industries, through specialized and qualified italian and foreign suppliers. EPISTOLIO is also specialized in the management and delivery of multi-purpose packages, when the Customer needs many different kind of products, even in small quantities. A logistic system with high flexibility allows to offer timely deliveries that the urgency of the this kind of job needs. EPISTOLIO , sensitive to the importance of the specifications that govern this area of activity, provides its customers with products that meet the most important European and American standards . Our piping vivision relies on the collaboration of technical personnel and skilled traders which are able to fulfill the requirements of the most demanding customers.